UPDATE: New Zero Plus Junior and Senior masks below. DELAYED IN TESTING : Final impact testing end of March. Estimated shipping April 2019. These are rough pictures of the newr Zero Plus Senior (Stainless Steel) and black Zero Plus Junior. Both Sr and Jr will come in Black, Stainless and White. The lens is a full 3" pro-style lens. The lens are dual coated with anti-fog and scratch resistant coating. The lens are replaceable. We have one more lower mask impact test left to do. The integrity of welds, wire and lens are complete. I called one Saturday or Sunday morning around 8:45A Eastern Time, fully expecting to get an answering machine listing their hours of operation... I was floored when the owner himself answered. I got my question answered and I placed an order within the hour! Great mask that has never fogged up! Even better customer service! A+ mask for juniors and A+ service. Thanks to the owner who answers on the dime. I got three and a customer for life. I just spent 20 mins on the phone with the CEO, Bill. He was great and answered all my questions. Talk about customer service. This is a Local made in the USA company and I am proud to support it. Thanks Bill for the new Zero Plus Junior mask! My son absolutely loves it. He has always worn the AVH-2 mask but since trying this one he will never go back. The visor is much more crisp and he zero issues with any type of fogging. He likes the chrome cage as it tends to blend in with the ice. He has even said that it feels like he is just wearing a visor and not a full shield. The shield fits his CCM helmet without any issues. Awesome product that I would highly recommend!! I have always enjoyed the a bubble but the fog would hinder my play. Once I received this mask I immediately fell in love with it, considering it has no fog and unlimited vision on the ice. I have bought 2 masks and a replacement shield from this company over the years. Not only do I find their products to be outstanding but the customer service is top notch. 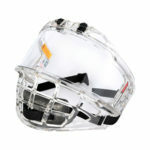 I previously had the older senior mask with the clear plastic cage. I really liked it but it finally failed after a good hard punch to the head in mens league. Since it was discontinued I purchased the Zero 1. At first i felt that the shield part was too small and I was looking down through the cage part a lot. But after playing with it for a while I really like it. The design also seems to be teaching me to keep my head up more. I gave this a try after struggling with the full cage but not wanting to go back to just a half shield. It is the perfect compromise that gives you full face protection and great visibility. I have had absolutely no fogging issues like I did with the half shield at times. I would recommend it to anyone looking for maximum protection and good visibility! Got my New Zero face mask last fall. I love it. Great vision and absolutely no fogging. Great job with a great mask. Just received my zero I face shield in chrome and was able to practice and use during a game. This is my first exposure to a combo type mask, having previously used just the full cage prior to. 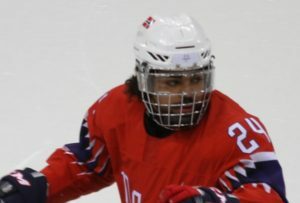 Also had researched the combo mask/visor by other brands (bauer, ronson, other avisions) and did not want to deal with the fog factor and need for cleaning during game time. This is relatively new to the market so there wasn't many reviews but I liked the concept so I went with it. Let me just say, there is a huge difference coming from a full cage and going to a visor combo in clarity/vision on the ice. There was really no visual adjustment in looking through the medium the visor was made of. Other few things I've noticed:--Great company, cares about their product.--Fairly easy installation although the tabs that secure the cage to sides of the helmet did not fit/snap into place (snap holes too small) to an old bauer helmet. So I had to use my old tabs. Also definitely had to use the screws that came with Zero I as well (not the old ones that attached the wire cage to helmet which were a little too short). Would be nice if it included a variety of tabs (I always thought they were one size fits all) or options for installation other than just the screws. --Definitely heavier than my previous cage on the old bauer helmet. Though once secured and on the ice, I didn't notice a huge difference while playing. In fact, the helmet felt equally weighted and fit more securely than my cage ever did. Not sure if maybe it is just better fit but the weight feels like it was actually a good thing. --I wish the visor portion actually went all the way to the top instead of the bars up there. 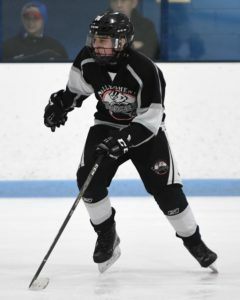 For example: I noticed it especially when taking face offs and looking up at the net when bent over for a face-off drawl. (although maybe it would mess with weather or not this thing would fog up idk) Skinnier cage bars as opposed to thicker bars would be nice I think. Just a suggestion.--I like the fact you can change out the lens portion if it gets scratched. Would be cool if it'd be colored/tinted (think ski lenses) for aesthetic purposes. Just a suggestion.--No issues with fogging thus far. --Price point could be lower ideally.--Overall, clean look to the face mask. I am very pleased with the purchase. 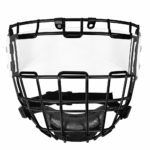 I would highly recommend for anyone that has used a cage prior and wanted to try out a visor/cage combo. I don't think you'll be disappointed. To start...I don't play ice hockey...and I don't live in a cold climate. I play roller hockey (rink hockey) in North Queensland, Australia...I'm a goalkeeper. Our goalies play differently to ice hockey in that we are lower, this means our helmets, and visors, do get hit by the ball. I have the Elite faceshield...fantastic! With the shape of the shield the ball sort of skims off, minor scratches just polish off with a cloth, doesn't fog, and combined with good helmet can take a hit! I love it, and recommend it to other roller hockey keepers using other clear face shields...this product is far superior! My son has wearing an Avision for about 4 years. Loves it and won't wear anything else! I would like to leave a massive shout out to Avision Ahead for developing the best mask/visor ever ! My son (13 now) has been playing with this visor for nearly 3 years and it NEVER FOGS UP like other masks he's tried ..they are scratch resistant and have an absolute superb clearness to them. He will probably never wear anything else since he maximized his performance on the ice by wearing Avision! It is a massive difference wearing THIS visor vs the "other brands" ! No fog sprays or cloths during the games..no scratches altering the clearness and air flow is optimal ! He is one happy customer for nearly 3 years and is about to spill his "secret" on why he's been playing so well! � If you see the game better it's easier to score!!! Wow ... called in @ 5pm for quick question, 20 mins later ... Thank you Bill Everett for all the information .. best customer service .. The best shield you can buy. This shield does not fog or scratch. I have owned the Avision for three years with no scratches in adult league. Next, I will be buying a junior shield for my nine year old.Edward, Colorado Springs. I have the Elite and its a phenomonal product! Crystal clear views, does not fog as advertised and is very scratch resistant! The first shield I've owned that does not fog! I use the 20/20 half shield and could not be more satisfied with the product. I've generally spent almost twice as much for an inferior product. I'm thankful to have found Avision Ahead! State of the art protection and a local Colorado company! Great product... even better customer service!!! 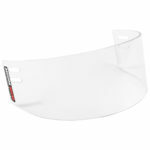 The Pro X half visor is a very good value for the clarity, quality, and protection it offers. Each time I hit the ice I'm confident knowing that it will keep me safe; it doesn't hurt that it looks great as well. Have used the old version with the steel bars now going to use the new shield. The Zero Model solves all those problems and stands the test of a pro level player hockey abuse! I will never by any other product. React Faster. Make Better Decisions on the Ice. Our shields offer visual clarity for your brain to react faster and allow you better decision making at the speed of hockey. Sports performance depends largely on your ability to see and react quickly to objects such as a hockey puck being passed to you and your reaction time to respond one or two moves ahead. How fast you see the game around you from player to objects when your eyes are fully masked changes how the information to the brain is processed and by all tests a player wearing a mask covering their eyes slows the brain and decision making. Having total visual clarity at speeds of hockey is paramount to playing your best. This visual input stimulates your brain to direct an appropriate physical response, such as picking at spot on net to shoot the puck or access all the players in the contest and decide what you will do with the puck next. A simple test is looking though a full cage and then slowly raise it up till you see clearly. Your brain will immediately change and your vision instantly improves your decision making without bars covering your eyes. You are buying a cage with a lens so your vision will be at optimum performance and your decision making superior.